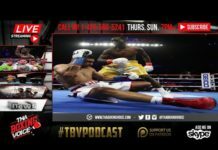 Home Podcasts Boxing Kovalev vs Browne ANNOUNCED🔥, Ramirez vs Imam Full Card REVIEW👍👎, & More! 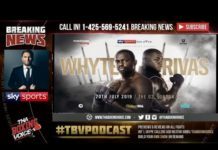 Kovalev vs Browne ANNOUNCED🔥, Ramirez vs Imam Full Card REVIEW👍👎, & More! 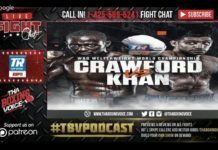 Sergey Kovalev vs Marcus Browne is a done deal? According to boxingscene.com’s Keith Idec, it is, thoughts?! Jose Ramirez vs Amir Imam review. Did Ramirez impress you? Can Imam bounce back from his second loss? Michael Conlan vs. David Berna review. Right move to make Conlan main event? Is Conlan a star in the making? Oleksandr Gvozdyk vs. Mehdi Amar analysis. Is Gvozdyk going to challenge for a belt in 2018?